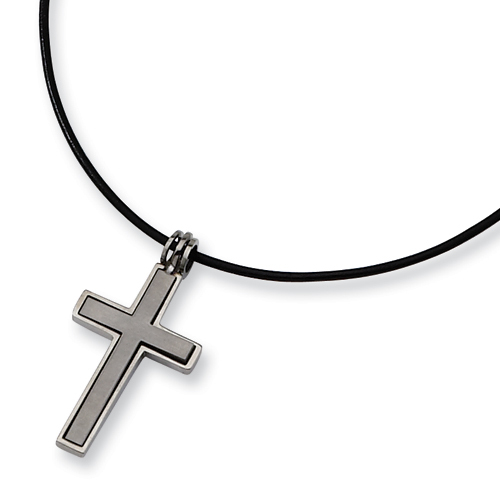 Titanium cross dangles from an 18-inch leather cord with fancy lobster clasp. Cross size: length 1 1/2in, width 3/4in, thickness 3.25mm. Made of commercially pure [CP] titanium. The cross looks nice. The leather cord broke in the 1st week, but we were able to put it on a silver chain. My son is happy with it.